This confident beginner sewing pattern is a quick sew with directions for two sizes. The large bag is a ideal for carrying everything you need for the day. It has a spacious interior with a zippered pocket. The stabilized bottom and fleece interfacing give the bag a sturdy structure. 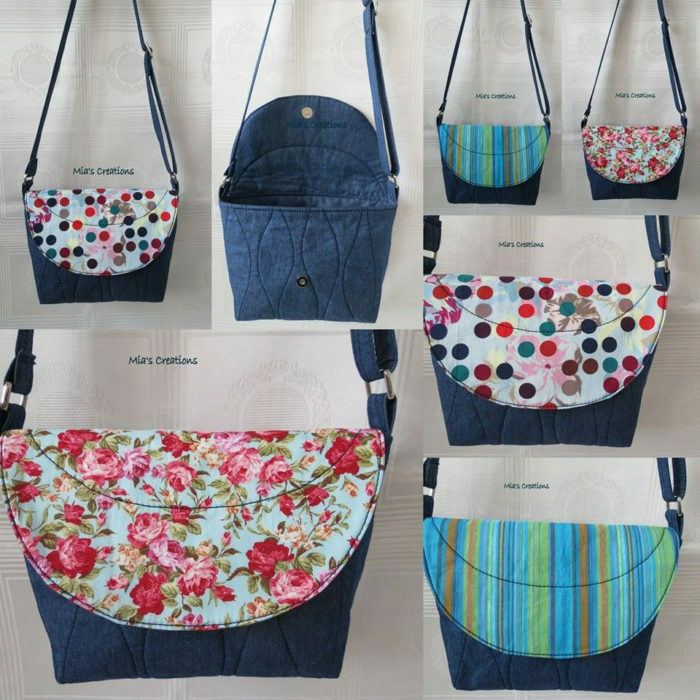 The small size is perfect for young ladies or those who prefer a small handbag. 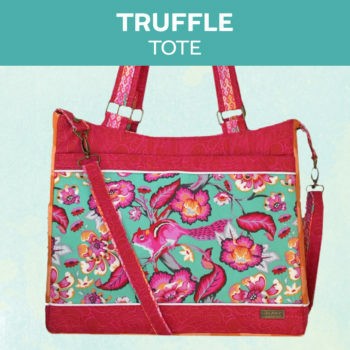 It is still big enough for your essentials and has an optional zippered pocket. 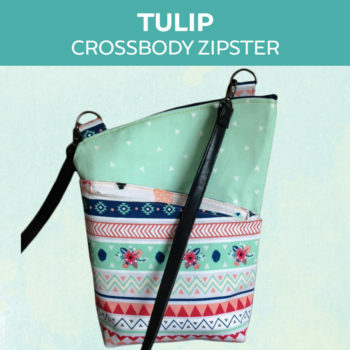 Choose a shoulder strap or an adjustable cross-body strap to suit your personal style. Either works well with both sizes. Your contents will be super secure with both a recessed zipper closure and magnetic snap on the flap. The pattern is chock full of color photographs for reference, along with step-by-step instructions. A wonderful pattern for beginners and an easy one to adapt or modify with more advanced skills. 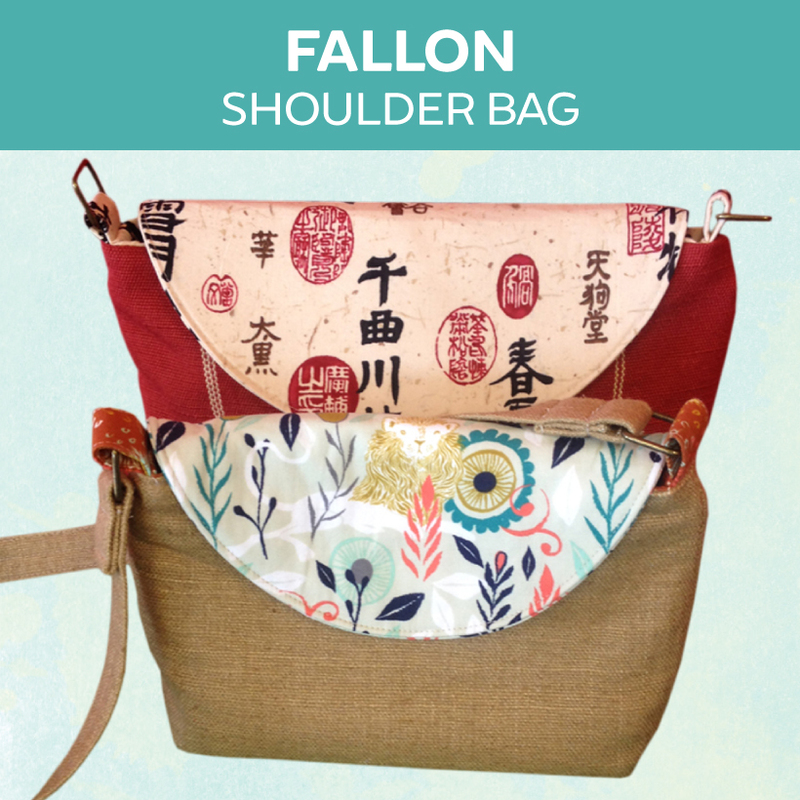 The Fallon Bag was specifically designed with the same curved flap as the Fiona Folding Wallet. The two combine to make a fantastic matching set! As with all CloBird patterns, the instructions are full of color photographs and clear, detailed directions. In addition to the pattern, CloBird Designs has a very active Facebook Group that is always there to help and cheer you along the way. You can also find great fabric, hardware and kits in our shop, The Modern Sewist. As this is a PDF file and downloadable immediately upon purchase, there are no refunds. This purchase is for the sewing pattern only and NOT for the finished bag. © 2014-2019 CloBird Designs. | All Rights Reserved.